With Graduation day looming, many graduands are filled with no small measure of anxiety. And that’s not because of the graduation. No. It’s because they have to give a graduation day speech. And, of course it’s not a new problem. We’ve all been there. Been in that situation where you have to give a mini-speech of sorts. But you just can’t piece everything together. And, of course there’s a deadline. We’ve looked at these problems before with High schools and the graduation speech hell they experience. But, now it’s college students with the problem. Well fortunately for us all there’s a Silicon Valley solution. But, before you start to think that there’s an app for that. Hold on. This is a very simple and effective word substitution system. But, importantly it’s designed by journalists. So, you can expect it to be a lot more articulate than your typical software app or user guide. Well, certainly that was the thinking behind the work of Joan Morris and Jackie Burrell of the Silicon Valley Mercury News. Cleverly they have devised a simple word substitution system for the perfect graduation day speech. You will need to flex the words for a speech outside the USA. That’s easy. But as a solution for a simple public speaking need, it’s great fun. So, first of all, here is the table and the essential four columns. How exactly are we going to pay off those student loans? I don’t want to grow up and you can’t make me. And then, second, both Joan and Jackie also provide a template into which these word substitutes can sit. When you come across the column command, such as (column A) or (column B), then you just look at the column and insert a useful word or phrase. Class of 2010, families, friends and esteemed (choose one from column A). We come here today to bid farewell to these hallowed halls and say (column D). I look out at all your fresh, smiling faces and think how far we have come. It was just four short years ago that we were frightened (column A), roaming these hallowed halls and wandering, dazed, in the shadow of (column B) and (column B). So much has happened during these last four years. We elected our first black president, got hooked on “Gossip Girl” and learned to text, tweet and (column C). Wall Street crashed, the real estate bubble burst, and our nation was plunged into the worst economic crisis since the Great Depression. Today’s job outlook is grim, and unless we want to room with (column A), even renting an apartment may be out of reach. It’s enough to make any of us (column C) and say (column D). But we are bigger than that. Greater than that. And the time has come to (column C). Somewhere in this crowd of eager, self-assured graduates are the (column A) who will cure cancer, the (column A) who will design the next generation’s (column B), and the screenwriter who will pen the next Oscar-worth movie about (column A). This is not an ending, it is a beginning. For what is a commencement anyway? No seriously, what is it? Yourdictionary.com wasn’t exactly clear on it. Anyway, someday we will look back on these years as the very best of our lives. So I call on you, Class of 2010, to take life by the horns, look our future straight on and triumphantly shout: (column D). We said it was simple. But, importantly, what is there not to like about this approach to the graduation day speech? Superb. 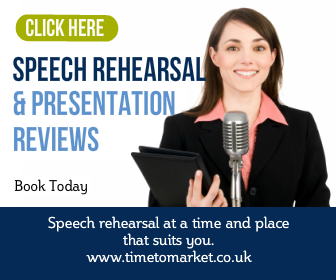 You can always discover plenty of public speaking tips with our regular series of posts, podcasts and videos. 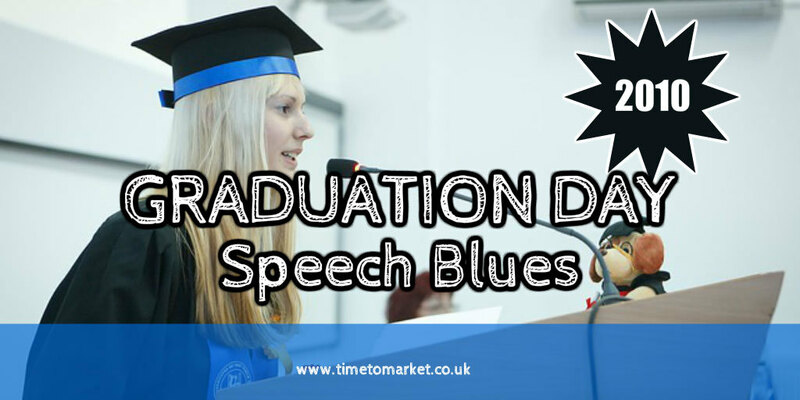 So, if you need to plan a graduation day speech or indeed something quite different then we should have something for you. 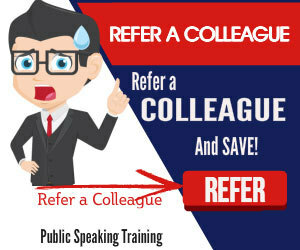 And, when you want to give your public speaking skills that extra boost, then please don’t hesitate to get in touch. I’ll definitely tell this to my younger sister, hopefully she will be graduating next school year! Thanks a lot for this tip. It’ll come in real handy soon.